Arclight Phoenix was released back in October of 2018 and has turned the Modern metagame on its head since. While lists started out as a mono colored red deck, utilizing Faithless Looting and Catharic Reunion to put the 3/2 flyer into the graveyard, the deck has evolved to become an Izzet deck very similar to what Splinter Twin used to represent. A lot of interaction and cantrips make for smooth gameplay with the difference being your threats. These aren't the 2/1 flyer that Pestermite used to be, now you use Thing in the Ice and the aforementioned phoenix. Next up in the Modern metagame, we've got Dredge, another deck that gained a lot from Guilds of Ravnica by including Creeping Chill. The core of the deck stayed the same though, as you put as many creatures onto the battlefield as possible from the graveyard. Bloodghast, Prized Amalgam and Narcomoeba do the job nicely. The last and final threat dredge has is Conflagrate, giving them access to a huge load of damage later in the game by discarding lands they got back by using Life from the Loam. Of course, Modern wouldn't be Modern without a lot of other decks brawling. The Rock, Amulet Titan, Grixis Death's Shadow, Tron, Burn, Whir Prison, Hardened Scales and Azorius Control are all decks you could reasonably expect to face at a tournament. So, with our main enemies established, let's dive into the deck I've been playing for almost a year and one that has access to one of the best sideboard cards of the current format: Auriok Champion. But more on that later. I recently got back to Humans in Modern because there were two online MCQs that I wanted to play. Posting a combined record of 15-4 and a 5-0 league makes me excited to be back on the Humans train. I don't want to waste your time by explaining what you already know, so I'll only take a look at the interesting slots, starting with the full four Thalia, Guardian of Thraben. If you know older Humans lists, you'll remember seeing a maximum of three copies of the 2/1 first striking Thorn of Amethyst, but in today's world, this card is the nuts. Opening with a turn two Thalia is brutal against almost every deck: Whir Prison is suddenly taxed enormously on every spell they cast, making cards such as Mishra's Bauble, Mox Opal, and Ancient Stirrings incredibly weak. Most spells in Izzet Phoenix have suddenly doubled in mana when Thalia is on the board. Scapeshift needs to spend additional mana on suspended Search for Tomorrow or Farseek and Burn suddenly spends valuable resources (mana and a card) because they must get rid of Thalia. Play Thalia, she is very good. 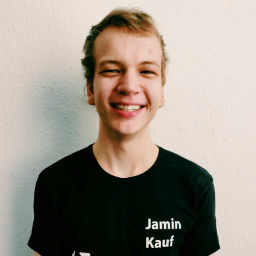 Notably we only have three Kitesail Freebooter: "But Jamin! If everyone is relying on spells, why wouldn't you run four of these as well?" Good question, dear reader! The reasons here are twofold. First, Kitesail Freebooter is a very medium card against decks that run a lot of removal. Against decks like Phoenix, The Rock, or Burn, the 1/2 flyer will usually trade down in mana and take a glimpse of their hand. It's much better against pure "combo" decks like Whir Prison or Tron where they have a tough time removing the creature. At the same time, it has some anti-synergy with Thalia. If their spells are much more expensive anyways, why attack the spells even further? The last slot to take a look at in Humans are the three drops. Militia Bugler used to be a card that had to be present as a playset but these days, as Modern got faster (again) we're back with the four Reflector Mages, four Mantis Rider which leaves us with only two Buglers. As for the sideboard, Surgical Extraction is needed against Phoenixes, Deputy of Detention is the newest tech against things like Prized Amalgam that also helps us against Blood Moon or Ensnaring Bridge. Knight of Autumn's flexibility is amazing, being a tool against Burn, Ensnaring Bridge, and Affinity. Dismember has also been in the board since forever simply because you need instant speed answers to Baral, Chief of Compliance, Inkmoth Nexus, Thing in the Ice, and the likes of Gurmag Angler. Hostage Taker serves a very similar purpose with the upside of stealing Death's Shadow while also being great against the Ensnaring Bridge decks. Which brings us to Auriok Champion. Without this little guy, our matchup against Death's Shadow, Burn, Dredge, and Hollow One would be so much worse. The named decks have no answers to this except for Path to Exile in the case of Burn and Engineered Explosives for Death's Shadow and our Hollow Bois. Once you resolve on of these, copy them with Phantasmal Image, protect them with Meddling Mage and ride your protection from Red and from Black to victory (also be wary of Snapcaster Mages being flashed in to block). In your game one against Dredge, it basically comes down to building blockers. Champion of the Parish paired with Thalia's Lieutenant quickly makes for blockers too big for Dredge which is important because you need to keep a relatively high life total, lest you fall victim to the chill. Meddling Mage is great at naming Conflagrate, the second one often naming Darkblast. You rarely name Faithless Looting unless it's early in the game. After stabilizing (hopefully at a reasonable life total), the board easily stalls out. Mantis Rider is great at breaking that stall since your opponent cannot chump with recurring creatures. Alternatively Militia Bugler can also provide you with enough creatures to simply overrun your opponent with well-timed Thalia's Lieutenants. Just as a note, I highly recommend winning the die roll as that will, most of the time at least, make the difference between being able to block in time to avoid getting chilled out. Postboard, things change a bit as with Auriok Champion you're able to recover from early hits (as well as the champ being the ultimate blocker). Deputy of Detention can also stem the bleeding at a moment's notice by exiling multiple creatures (at the very least for the moment). Surgical obviously also helps quite a bit. For the nine cards you board in, you want to take out all of the Freebooters and a mix of Reflector Mage, Thalia, and Meddling Mage. Playing against Phoenix with Humans always feels like building a house of cards. Often, all that's between you and your opponent summoning two Phoenixes and flipping Thing in the Ice is a Meddling Mage naming Manamorphose and a Kitesail Freebooter holding back a Lightning Bolt. This leads to very polarized draw steps from the Phoenix player. Drawing spot removal spell can flip the board completely. Your best weapon against Thing in the Ice is Aether Vial. Thing bouncing everything isn't nearly as bad when you can redeploy all your threats in a single turn cycle. Also keep in mind that your Phantasmal Image can copy their 7/8 Horror. Last, but not least, Reflector Mage being vialed in just before Thing in the Ice flips is a tempo blowout they can rarely recover from. Another mechanic of this matchup is a game called "having three toughness". Depending on the Phoenix list, these decks can really struggle dealing four damage (sometimes they have one or two Lightning Axes), so Thalia's Lieutenant can lead to huge blowouts especially if you can convince your opponent you don't have one in hand. I'd love to tell you that it gets better after boarding but unfortunately the house of cards we're building now has an additional floor and a chimney we also need to build. They can now answer our Aether Vial with Abrade, shut off our lands with Blood Moon, and wrath the board with Anger of the Gods. Now, luckily they cannot do all these things at once but this makes it very hard to board (and play) after game one. Surgical Extraction doesn't even answer all of our problems. Knight of Autumn is awkward but necessary against Blood Moon and Pyromancer Ascension. Boarding here is much more of a guessing game about what your opponent is doing with their deck, so I can't give you a precise boarding guide. I can safely tell you not to board in Auriok Champion or Hostage Taker though (and you should probably also keep all your Thalias, one drops, and Freebooters in the deck). I won't tell you that Humans is the best deck to answer Modern at the moment. I will, however, tell you that current sideboards are not built to beat Humans since Dredge and Phoenix are much more dominant currently, which makes postboard games in general fairly pleasant at the current moment. The current iteration of Humans is very strong against uninteractive combo decks, especially because of the four Thalias that are necessary to have enough game against Phoenix. Whether this will help the deck rise to its previous glory remains to be seen but for now I'm happy to play this deck for any upcoming Modern event. Would you like additional articles covering more of my experiences with Humans? Any specific questions/matchups you'd like me to cover? Let me know in the comments here or on my personal Twitter account. Until next time, may you always play Aether Vial on turn one.